Along with Usha, three other tops officials, PNB executive directors KV Brahmaji Rao and Sanjiv Sharan and general manager (international operations) Nehal Ahad, have also been named for lapses in the handling of the SWIFT system. Usha, who served in PNB from August 2015 to 2017, allegedly did not comply with the year 2016 circular of the RBI (Reserve Bank of India) on the Swift system. After three months of investigation, the CBI on Monday filed its first chargesheet in the Rs 13,700-crore Punjab National Bank fraud at a special court in Mumbai, naming former PNB chief Usha Ananthasubramanian, currently serving as Allahabad Bank CEO and MD, and 23 others in the chargesheet. According to India Today sources, Usha, who worked in PNB from August 2015 to 2017, did not comply with the year 2016 circular of the RBI (Reserve Bank of India) on the Swift (Society for Worldwide Inter-bank Financial Telecommunications) system. Along with Usha, three other top officials, PNB Executive Directors KV Brahmaji Rao, Sanjiv Sharan and General Manager (International Operations) Nehal Ahad, have also been named for lapses in the handling of the Swift system. A Business Standard report said later in the day that PNB Executive Directors Rajiv Sharan and KV Brahmaji Rao were removed following a directive from the Ministry of Finance to 'divest' them from their powers. The chargesheet names several other bank officials who allegedly colluded with diamond merchants Nirav Modi and his uncle and partner Mehul Choksi to issue fake Letters of Undertaking (LoUs). It is worth mentioning here that the present chargesheet relates to the first FIR registered for the fraudulent issuance of over Rs 6,000 crore worth of LoUs to Nirav Modi's three companies, Diamond R US, Solar Exports and Stellar Diamonds. Total three FIRs have been registered in connection with the alleged fraud in PNB. 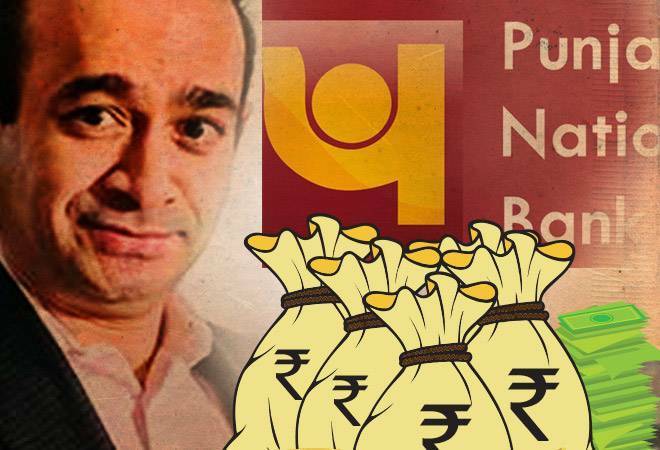 Apart from Nirav Modi, the chargesheet names his brothers Nishal Modi and Subhash Parab, and an executive in Nirav Modi's company, reported PTI. The present chargesheet, however, doesn't mention in detail the role of Mehul Choksi, and it may come up when the CBI files supplementary chargesheets against the Gitanjali Group. Some PNB officials already arrested by the CBI have also been named for misusing official position, criminal conspiracy, forgery and cheating. These arrested accused include Gokulnath Shetty, former deputy general manager of PNB; Manoj Kharat, single window operator of PNB; Hemant Bhat, authorised signatory of Modi's company; Bechhu Tiwari, then chief manager in the forex department of PNB; Yashwant Joshi, scale-II manager in forex department; and Praful Sawant, scale-I officer handling exports section. Arjun Patil, senior executive, Firestar Group, have also been named. So far, the CBI has arrested 19 people in the PNB scam. Both Modi and Choksi had left the country in January before PNB filed the complaint with the CBI.